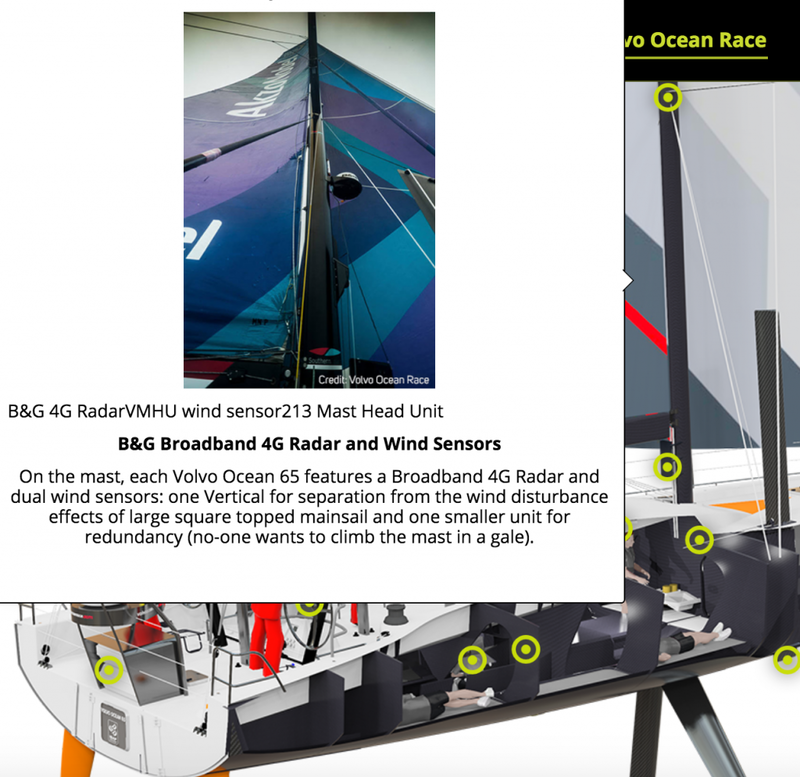 I would like to make a short insight of B&G Broadband 4G Radar as one of the main navigation tools on board of every Volvo Ocean 65 racing boat. Why exactly do I want to look at the radar? Radar on the vessel is the main electronic tool for navigation safety. Not the AIS (Automatic Identification System). It has almost nothing common with safe navigation. It is just information about ships around and target data can unexpectedly disappear for a variety of reasons. Unfortunately, many on board the ships (sailboats included) rely almost solely on AIS data and forget about traditional navigation experience. Radar and visual watch still is the main grant for safe navigation at seas. Those who follow the Volvo Ocean Race 2017/2018 edition know that ships collision took place at the very last miles of Leg 4 from Melbourne to Hong Kong at 20th of January 2018. It was the collision between Vestas 11th Hour Racing team boat and Chinese fishing vessel. Unfortunately, one of the fishing boat crew members died in the hospital after having been rescued by the damaged Vestas 11th Hour Racing team boat. Unfortunately, collisions happen despite cutting-edge electronics and strict shipping and racing rules. Like cars on the streets also the quantity of ships increases dramatically. Whether we want or not, however, a human is the main object both at the wheel of the car and on the bridge of the ship. 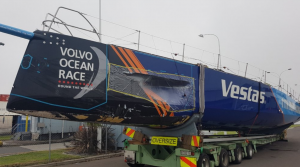 On this particular event, I am highly disappointed with lack of information which causes numerous rumors around the given accident and to the Volvo Ocean Race safety measures at all. Even today (14, March 2018) it is so little information although the investigation by the Hong Kong and mainland China authorities is closed with no further action to be taken. Until now I can’t get rid of the feeling that something is hidden from the public. Even more, what means words said by an Independent Report Team (IRT), chaired by Rear Admiral Chris Oxenbould AO RAN (Rtd), former deputy chief of the Australian Navy and an experienced ocean racing yachtsman. As I said above, it is the human mistake, and no one can claim that nothing similar will happen to him. I have been involved in two real commercial ships collisions some years before when serving as the navigation officer, luckily no fatal outcomes. In both accidents, ships were seriously damaged but none sank and in different ways were reached shipyards for repair. In one case the investigation lasted for two years. Ship’s captain was replaced after the repair was completed. I can safely say that, regardless of the results of the investigation, it was based on a human error. Now I have come close to the topic of the post, navigation tools of Volvo Ocean 65 boats and the radar as one of the most important ones. So, I have no right to doubt that the radar was turned on and the proper watch was in progress. If so, why the fishing boat was not spotted on the screen? I assume that the crew are properly trained and has the experience to work with radar. (b) Proper use shall be made of radar equipment if fitted and operational, including long-range scanning to obtain early warning of risk of collision and radar plotting or equivalent systematic observations of detected objects. Everyone can find online that all Volvo Ocean 65 2017/2018 edition boats are equipped with B&G Broadband 4G™ Radar. I am not familiar with this equipment, but it is no doubt that this was chosen as the best option for Volvo Ocean Race. Well, this is said by manufacturers, and they never say bad about their product. But, what about gulls and guys on board? For most of them, it is already the second edition of VOR, and they are familiar with electronics and have to know all pros and cons if any. I am familiar with the practical use of the marine radars, and it is not yet invented better tool when it comes to sailing in the dark and restricted visibility. Definitely, every one of them has some restriction but knowing and experience how the human can reduce deficiencies to the minimum. Besides of the big ships I have some experience on ocean-going sailboats and even with the practical use of radars on them. Honestly, we have rarely used radar on the races mainly because of technical restrictions and lack of experience. Many boats even have removed antennas at all under the pretext that radar antenna is covering the sails blah, blah. For recreational boating, the situation is much better, and owners are smart enough to spend some extra for good radar sets to enhance safety. Once I have the powerboat trip from Latvia to the UK, and all my GPS systems were dead then Raymarine Radar was engaged which I never used before. It was daytime, good visibility, and radar give me the feeling of some safety until I reached reach iPhone Navionics map coverage area. It was the good real-life experience on high speeds, radar antenna height about three meters. The weather was almost calm, and even small targets like other yachts and small fishing boats were spotted on the three-mile scale. Although I saw them visually as well and it eases an identification by the radar. Again and again, I try to put myself on the boat and cannot find the answer to the question, why the fishing boat’s target was not detected on the radar screen? Until we do not know the truth, even the most unpleasant one, we can only rely on common sense. My conclusion is that the target was not spotted. There could have been many reasons, and I hope that the investigation found the truth. „As with some other radar systems, broadband 4G uses beam-sharpening technology that helps shorter antennas realize better performance and target separation. Target separation is an important feature because it lets you discern, say, a tug towing a barge, or two small vessels that might have appeared as a single target on an older radar. I wish to all Volvo Ocean Race skippers, navigators, watch captains and crew the safe navigation and meet them all safe and in a good mood in Hague at the end of January 2018. Previous Previous post: Garmin Striker 4 Bbuilt-in GPS Fish Finder for Ice Fishing Best In Budget Range. Next Next post: My Sygic GPS Navigation App Review. Andrei! 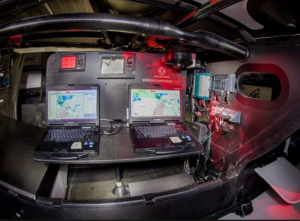 I am pleasantly surprised at the quality of the information you have provided for the GPS Navigational 4g Radar for Volvo Ocean 65 Racing Boats. I enjoy reading all about GPS Navigational Systems and it’s amazing how these instruments have evolved from something so simple, yet we still falter with human error. It is tragic that there was a fatality in the race with the accident of the fishing vessel. I trust that greater measures and precautions were taken to ensure better safety for all concerned. My Great Grand Father was the Captain of the Pass Of Leny at the end of the 19th Century beginning of the 20th Century and I believe they would’ve used the original tried and tested instruments to help them navigate. It’s amazing how far we have come since then! Hi there. It is great to read that you are interested in my topic. Unfortunately, at least for today presence of the HUMAN still is needed when it comes to transport and marine traffic particularly. There are some experiments around unmanned merchant ships and so but it is not a serious business. Remember the recent Uber’s self-driving car crash. Skipper on the board of any ship still is the main grant for safety regardless of cutting-edge electronics.